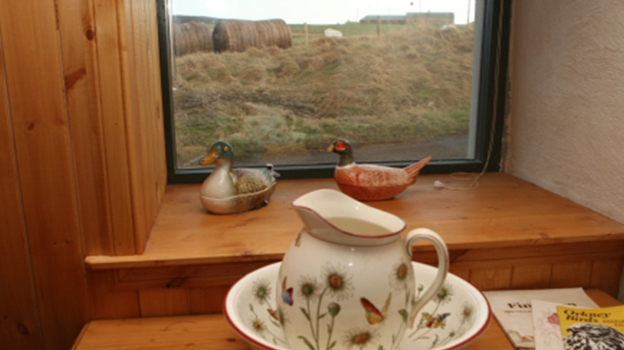 You will experience old fashioned luxury and comfort in our one bedroom croft, the exceptional Byre at Heddle. 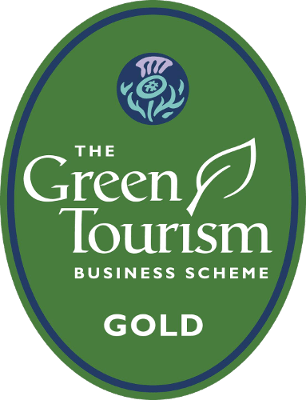 Graded since 2008 as Five Star self-catering accommodation by the STB and awarded Gold status from Green Tourism since 2011. 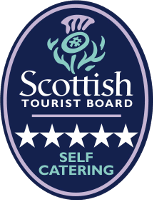 The Byre was also shortlisted by The Royal Incorporation of Architects in Scotland for the prestigious 2008 IAA awards in which the organisers wanted to recognise and celebrate local projects that express Highlands and Islands identity and culture. 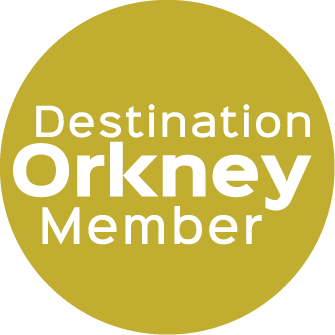 We were one of only two properties in Orkney that met this criteria. 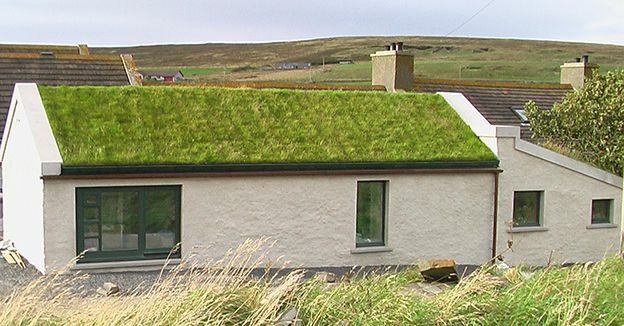 We were also highly commended in the 2009 Laura Grimond Award for architectural building excellence in Orkney. 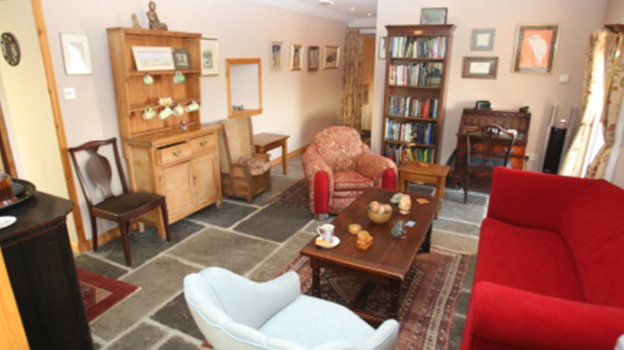 The Croft features dry stone walls, flagstone flooring, a turf roof, authentic and original antiques and artwork, beautiful furniture all blended discreetly with modern facilities. The antiques, beautiful art and attention to detail create a deeply relaxing quality taking you far away from the strains of modern life. 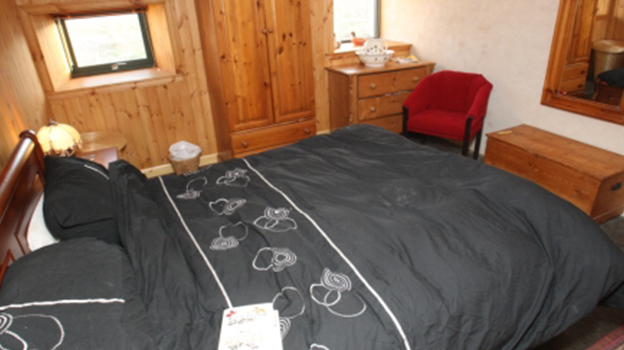 The bedroom is a king size double bed with farmhouse tongue and groove pine interior and country furniture. 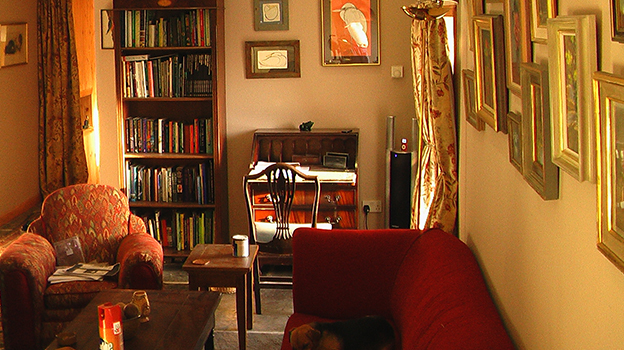 The sitting room includes: discreet Sony Bravia LCD TV, Sky freeview, DVD Player, WiFi broadband and a Jambox Bluetooth speaker for your own music. 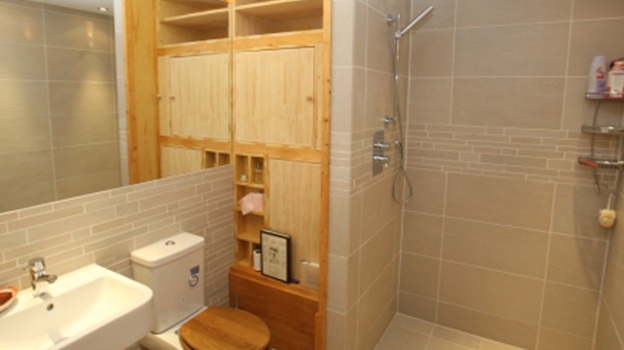 The exquisite wet room has an gloriously invigorating drench shower. 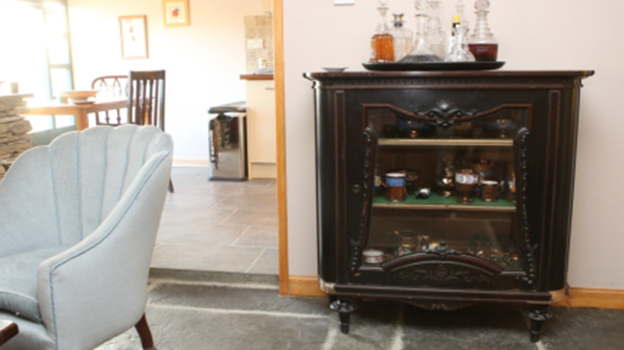 Flooring is a beautiful mixture of traditional flagstones and porcelain ceramic tiles. Underfloor heating and outstanding thermal insulation provides luxury and cosy warmth throughout whatever the weather outside.